Coach Dafoe begins his tenth season as the head cross country coach at Red River in 2018. Dafoe is also an assistant coach with Red River’s track and field team and was named the State Boys Coach of the Year in 2015 and in 2017. The 2018 season marks Coach Boese’s fifth year as an assistant with the RR Cross Country program. Prior to coaching at RR, she coached track and field for five years at Grafton HS and four years at Grand Forks Central HS. Boese teaches in the science department at Red River. 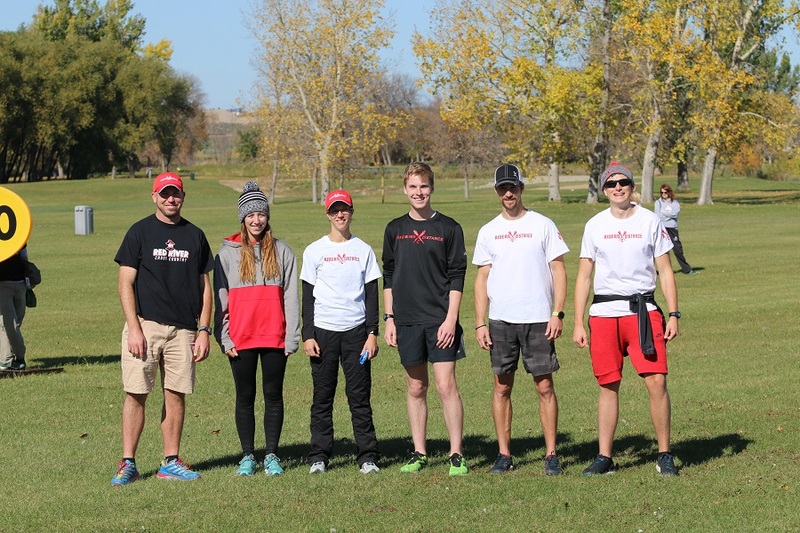 Jeff Bakke begins his fourth season as an assistant coach with the cross country teams at Red River. In the spring, he serves as RR’s head boys track and field coach. Previously, he coached cross country and track and field in Norway, both at the International School of Stavanger and with the club Sandnes IL. From 2010-2012, Bakke was an assistant track and field coach at the University of Colorado-Colorado Springs. Bakke teaches health and physical education at Red River. Coach Arnold is in her third season as an assistant coach with the RR Cross Country program. Originally from Malta, MT, Arnold competed in cross country and track and field at Northern State University in Aberdeen, SD. She was also a competitive swimmer and has club swimming for seven years. Coach Relling begins his third season with the program in 2017. He is a former team captain and competed for the Roughriders for six years.